Ron Hull, a leader in Nebraska public television since the 1950s, recommends that CPB consider reinstating the semi-autonomy of its grantmakers in TV programming. That was how CPB’s Television Program Fund was set up in 1982 when he succeeded Lewis Freedman as the fund’s director. Hull bases this commentary on a chapter of his new book, Backstage: Stories from My Life in Public Television, published in October by the University of Nebraska Press. When CPB’s Television Program Fund began operating with a measure of autonomy, it inspired “an outpouring of heartfelt creative ideas from myriad producers, both independents and those at PBS stations,” Hull writes. During the 1980s I was the fortunate guy in the right place at the right time when the CPB Board appointed me director of the CPB Program Fund for public television. The Program Fund, a most creative idea from CPB President Robben Fleming, was designed to insulate program-funding decisions from politics, reserving that authority to the Fund’s director and staff. In 1980, Fleming, a former president of two big state universities —Wisconsin and Michigan — had proposed that the CPB Board restrict its own and its president’s decision-making in national TV program funding. Neither the board itself nor its appointed president and staff would make program grant decisions. An astute and experienced executive, Fleming succeeded in persuading the board to adopt the proposal because of station managers’ widespread support for the change. It gave more influence on program decisions to both stations and independent producers. The board also agreed to prohibit itself from even discussing individual program decisions, which affected a major share of CPB’s budget. When CPB brought me to Washington as the Program Fund’s second director, in 1982, the Fund was spending more than $20 million annually. When I left in 1988, the outlay was more than $40 million a year. The amount grew from 11 percent to 18 percent of the congressional appropriation. With this major commitment from CPB’s congressional appropriation, the Fund looked outward to a universe of program-makers, instead of inward to a small board of White House appointees chosen in many cases for their loyalty to one or the other of the two major parties. In a staff report, CPB’s oversight committee in Congress observed that CPB board members had been involved so deeply in past grant decisions that they had read producers’ proposals and scripts. Giving the Program Fund a measure of autonomy not only avoided the decisions-by-committee problem; it invited an outpouring of heartfelt creative ideas from myriad producers, both independents and those at PBS stations, from every corner of America. Although the Fund director made some programming decisions unilaterally, the largest share of the dollars went to producers through a highly competitive, open and relatively democratic consideration by “panels of peers” consisting of station people, independent producers and other media professionals, such as television critics. We believed that our programming had a profound effect on the lives of children and families, and that public television programs were a significant part of American culture. We had a mission, and fulfilling it was exhilarating. Vietnam: A Television History was among the landmark PBS series that received start-up funding from the CPB Television Program Fund. Pictured: An American Marine and Vietnamese villagers during a “search and destroy” mission in Da Nang. Selecting the best ideas for funding was a tricky business. With so many excellent proposals and never enough money to fund them adequately, we usually could serve only as a catalyst — putting in the first money, giving the producer leverage to raise money from other sources. Aside from our significant underwriting of the major series such as Nova and American Experience, most of our project grants — ranging from $20,000 to $250,000 each — gave producers only a fraction of their total program costs. But productions were conceived, and CPB helped producers get them up and running. We were able to proceed without repeating an expensive learning process for every new CPB chair or president who had never before commissioned. One of CPB’s presidents came to us from an important position dealing with U.S. Navy budgets. As he analyzed CPB’s spending plan, his assistants told us, they often heard him remind himself that the CPB figures were in “millions not billions, millions not billions.” He nevertheless kept a sharp, pragmatic eye on expenditures. No, I explained — we’re simply supporting, to a minimal extent, the necessary costs of bringing the operas to television. “Our $200,000 doesn’t even keep the curtain up for the first act of one opera,” I said, but the idea of contributing toward a general objective didn’t make sense to him. He was a bottom-line guy. If four operas cost $200,000, he figured, three would go for $150,000. The group dynamics at play during the funding panel discussions sizzled with creative risks, hinting at both promise and disaster. Panels consisted of professionals and experts in the fields of proposed programs, station programmers and independent producers. It amazed me when a single articulate panel member persuaded the entire group and sometimes led it in a mighty strange direction. The fund rarely had to overrule a panel recommendation but, when we did, we always gave our reason. The panels were designed to be polemical: rousing, verbal confrontations, arguments, deliberative sessions. For me, they remain some of the most instructive, insightful, continuing-education experiences of my life. In these highly subjective decisions, the staff and I had to remain neutral, sometimes sitting there with arteries bursting as a project we didn’t like rose to the top. However, because most professionals can smell a good program miles away, the excellent ideas most often ascended quickly. Our days were filled with discussing these ideas with seasoned, interesting and talented people such as cinéma vérité pioneers Bob Drew and Fred Wiseman; Nancy Dickerson, one of the great television reporters; David McCullough, historian and former host of Smithsonian World and American Experience; Martin Carr of Smithsonian World; Bill Moyers and his producer, Joan Konner. They recognized that public television afforded them the environment where they could produce their best work, unencumbered by advertising concerns and the tyranny of ratings. We put the first $25,000 into Ken Burns’ Civil War project. Henry Hampton’s Eyes on the Prize and Stanley Karnow’s Vietnam: A Television History came to life in part through our funding. 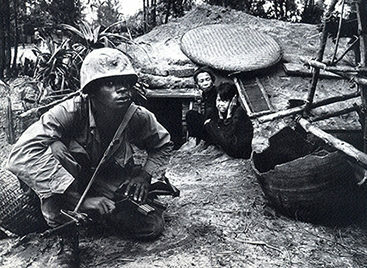 With Vietnam, we supported a major carefully balanced series about a divisive era that a politically sensitive CPB board would have been uncomfortable commissioning. Moreover, the Program Fund could invest in big significant projects rather than try to choose programs that would please every board member. It provided startup grants to many of the major series that are staples of the PBS national schedule today. In the Fund’s first three years, it invested $25.8 million in major series, and they attracted $37 million from underwriters and other funders. Under the tutelage of my predecessor, Lewis Freedman, the Fund and producing stations created Frontline and American Playhouse, and bolstered others such as the NewsHour. My staff and I added American Experience and many other series and specials. Independent producers created many of the worthy and provocative programs offered on public television — and they continue to do so today. These creators aren’t motivated by seeing their names on the screen and making lucrative deals. They believe in the power of filmmaking and have stories they want to tell — no, must tell — and they do it with skill, imagination, perseverance and talent. Nothing ensures the success of a program more than a talented producer with the burning desire to tell a particular story. My philosophy was to recognize these individuals, give them the money and get out of the way. Filmmakers are often consumed by passion for their latest ideas. They came to us for money, but they also mortgaged their cars and sometimes even their homes to get their stories on the screen. A primetime slot on public television gave them the chance to gain serious attention, with an audience numbering in the millions. Their reputations, their pride, their hearts and souls were infused into their work and, almost always, this resulted in programs worthy of other people’s time. The CPB Television Program Fund was pivotal to the success we enjoy today; as we look for those new exciting program ideas and new young producers who could participate in funding decisions, the Program Fund model has much to offer the PBS program schedule. We need an adequately funded, agile and independent office at CPB to focus on and bring forth the new ideas from today’s young creative talent. Ron Hull still works fulltime as a senior advisor at Nebraska Educational Telecommunications, based at the university in Lincoln. 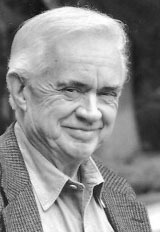 Serving for decades with NET founder Jack McBride, Hull oversaw TV programming and occasionally doubled as ambassador to the state legislature. During the Vietnam War, he spent 19 months in the Vietnam advising on the creation of educational TV there, which, he says, is still flourishing. After his 1982–88 service as the second director of the CPB Program Fund, PBS brought him back to Washington in 1996 to survey the network archives for programs worthy of revival. Adapted from Backstage: Stories from My Life in Public Televisionby Ron Hull, by permission of the University of Nebraska Press. Copyright Board of Regents of the University of Nebraska. The book is available wherever books are sold or from the University of Nebraska Press; phone 800-848-6224; Nebraskapress.unl.edu. Now that he’s retiring, Ron Hull has time to find out who he is. Not that he or anyone else in public TV is uncertain on that point.